It’s a ways yet before the Democratic presidential primaries start, but the candidates — and possible candidates — are talking about serious ideas. Whatever you may think of the various individuals, it’s exciting to see their bold proposals, like Medicare for All (Bernie Sanders), a wealth tax and universal childcare (Elizabeth Warren), baby bonds to close the wealth gap (Cory Booker), and spending $315 billion over the next 10 years to dramatically increase teacher salaries (Kamala Harris). The way we see it, candidates are responding to an activist base that’s pushing for policies that truly measure up to the nation’s challenges. And Indivisible East Bay and other Indivisible groups across the country are part of that activist base. For two years we’ve been building our people power; now, as the primaries get closer, we’re determined to use that power to influence the policy debate. Indivisible National is developing its strategy for engaging in the primary, and as step one they sent a survey to Indivisible groups nationwide on a variety of topics concerning policy issues and campaigns. We want National to know what our members think, which means we want to hear from you! What issues are most important to us as we consider whom to support in the primary? In what ways does our group want to engage campaigns during the primary? What are our initial thoughts about the possibility that Indivisible National might endorse a candidate? QUESTION 1: What issues are most important to us as we consider whom to support in the primary? QUESTION 2: In what ways does our group want to engage campaigns during the primary? QUESTION 3: What are our initial thoughts about the possibility that Indivisible National might endorse a candidate? To address this topic, we asked people to vote on two simple poll questions. Poll Question 2: It’s still early. But at this stage, what do you think is the best path forward for endorsement? We want to hear from you, too! If you couldn’t make it to the All Member Meeting, it’s not too late to share your input! Here’s a link to a survey with the questions that we addressed at the March meeting. All responses submitted by the deadline of April 10 will be aggregated (along with the results of the AMM discussions) and shared as part of IEB’s survey response to Indivisible National. And this is not the last chance we’ll have to consider how we flex our activist muscle to push for progressive policy! It’s still 19 months until the election. Stay tuned for more lively debate, and even livelier action. The 2020 election isn’t only about getting Greed-Personified-in-Chief out of the White House. Also on the ballot in November 2020: the Schools and Communities First Act (SCF) a ballot initiative that would reclaim $11 billion every year for schools and local communities by a closing a California corporate property tax loophole that benefits wealthy corporations and investors. Indivisible East Bay members have worked on SCF since the process of qualifying the initiative for the ballot; you can read our earlier articles here and here. From now until November 2020, the campaign shifts to the public outreach, education and mobilization phases, and on March 30 a crowd of 100 enthusiastic supporters packed a training on the ins and outs of this grassroots citizen effort to close the corporate property tax loophole. What is Schools and Communities First? A little background: in 1978, California voters approved Proposition 13, which froze property taxes of both homeowners and corporations at 1975 levels. Few other states in the country have frozen commercial property tax rates. Most states reassess commercial property every one to five years. Under Prop 13, property is reassessed only when it’s sold, and taxes are adjusted based on fair market value. Prop 13 has allowed enormous corporations – like Disney, Chevron, WalMart and Shell – to pay taxes at 1975 rates. Chevron alone is saving over $100 million a year by benefiting from Prop 13’s corporate loophole. On the other hand, new businesses pay taxes at today’s rates, putting them at an obvious disadvantage. Before Prop 13, residential property accounted for 55 percent of the property tax and commercial property constituted 45 percent. Now the residential share is 72 percent of the tax burden while the commercial share is only 28 percent, according to an Evolve-CA fact sheet. One result is that California has slid from the top 10 states nationally in per-pupil funding to the bottom 10. The excellent March 30 training, developed by Evolve-California, the League of Women Voters, Bay Rising, and other core sponsors of the initiative, covered the history, the facts, and the arguments for (and against) the initiative. Crucially, the training required attendees to develop the arguments that we’d present to different groups about why we support the initiative. We practiced our pitches in small groups, getting feedback from one another to help refine our messages. We also wrote our own plans for which groups we planned to speak to, and when. The SCF campaign needs all of us! Evolve will lead the grassroots organizing effort for this initiative in the Bay Area; the best way to get involved in this historic campaign is to sign up to volunteer at Evolve’s website, you’ll get updates on future trainings and organizing opportunities in our area. Ward and LeAnn Kanowsky, co-leads of the Indivisible East Bay CA-15 team, met with members of Representative Eric Swalwell’s staff as part of Indivisible’s February 11 National Day of Action. On behalf of IEB, we conveyed our gratitude and support for Swalwell’s cosponsorship of the Green New Deal, H.R. 1 (For the People Act of 2019), and H.R. 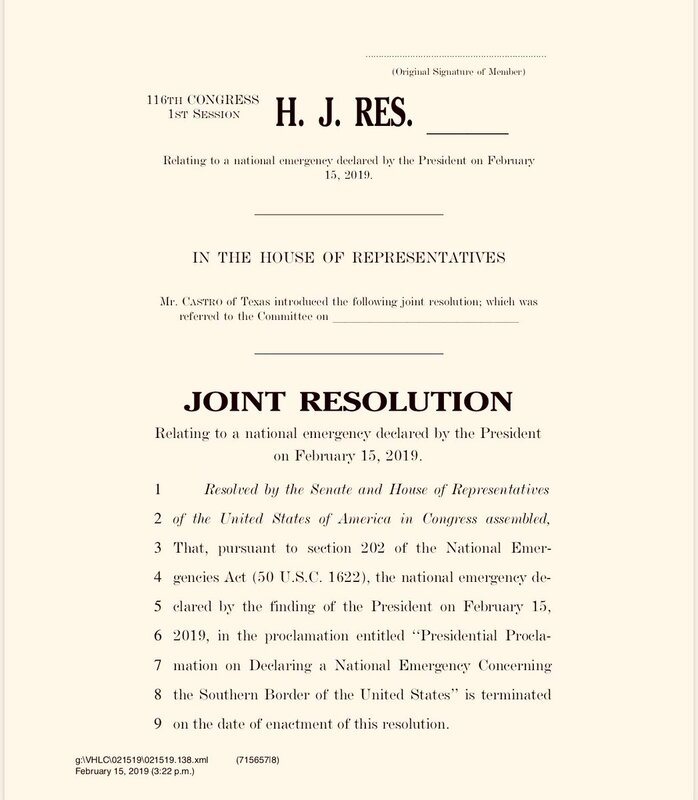 8 (Bipartisan Background Checks Act of 2019). Border wall – a wall would devastate border communities and waste billions of taxpayer dollars. ICE agents – keep families together; no additional funding for more Homeland Security Investigation (HSI) agents. Beds – stop ICE from expanding the number of immigrants held in detention. We specifically asked Rep. Swalwell to co-sponsor H.R. 678, the Fair Compensation for Low-Wage Contractor Employees Act of 2019. Federal contractor employees were especially hard hit by the shutdown and did not receive back pay when the government reopened on January 25. Many of these employees, who include cafeteria workers, security guards, and cleaning crews at federal buildings across the country, typically earn between $450 and $650 a week, and are now forced to choose between paying for utilities or putting food on the table for their families. In addition, we highlighted the impact of the recent 35-day shutdown on some of CA-15’s most vulnerable, with information from the Alameda County Community Food Bank. Specifically, we pointed out that 13,000 CA-15 households received their February CalFresh/SNAP benefits (aka food stamps) in January as a result of the shutdown – resulting in a “SNAP gap” of up to 50 days until they can get their next monthly benefit payments. This irregularity and gap can create confusion and anxiety among recipients, especially since many of these 13,000 households include seniors and children. We also noted the increased need at food pantries during shutdowns. Overall, our meeting with Rep. Swalwell’s staff was very effective. They were grateful for our feedback and information (especially about H.R. 678), and will pass on the content of the meeting to Swalwell and his D.C. staff. If you have questions or want to participate with the CA-15 team, contact Ward on Slack at @ward or by email at wardkanowsky@gmail.com. And please join us in Dublin at the Local IBEW 585 Union Hall for the IEB All Members Meeting on Sunday February 24 from 1-3 PM. RSVP here.